In an interview with Kyle Clark, Colorado House Minority Leader, Republican Patrick Neville likened supervised injection sites to a separate lane for drunk drivers and threatened recalls against Democratic supporters, but not the Republican co-sponsor. DENVER — The Republican minority leader in the Colorado House likened supervised injection sites to a separate lane for drunk drivers and threatened recalls against Democratic supporters, but not the Republican co-sponsor. 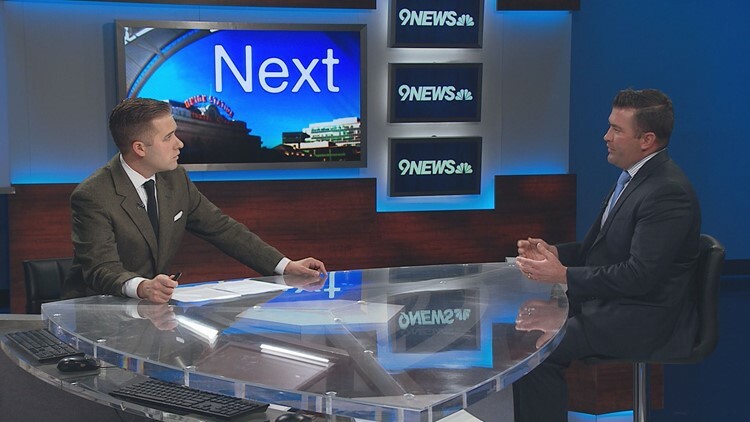 State Representative Patrick Neville of Castle Rock appeared on the Friday edition of Next with Kyle Clark to discuss expected legislation that would allow Denver to create America’s first supervised drug injection site. Neville called on fellow lawmakers to travel to Vancouver, Canada to observe supervised injection sites in operation in that city. Neville also suggested app-based therapy instead of supervised injection sites. Neville expressed concern about the likely location of the first site, across from the Capitol at the Harm Reduction Action Center, a needle exchange site at 213 East Colfax. Democratic Senator Brittany Pettersen of Lakewood told Next Thursday that the location on Colfax was the probable site. RELATED: Do more people in Denver die from overdoses inside or outside? Democrats control both houses of the Colorado legislature but Democratic Governor Jared Polis has not committed to signing a bill to allow a supervised injection site. “We’ve had aides actually get mugged and pistol-whipped down there and this is only going to add to that problem,” Neville said. Neville has floated the idea of recall elections against Democrats who support supervised injection sites. Three Democrats lost their seats amid recalls following 2013 gun control bills. Neville was asked on Next whether he’d pursue a similar recall against the Republican co-sponsor of the expected legislation, Senator Kevin Priola of Henderson.